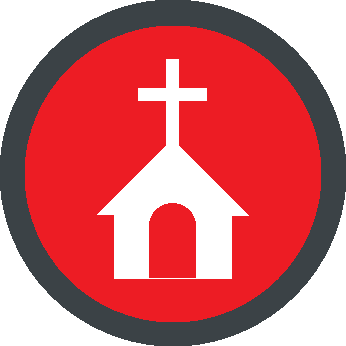 The General Conference of the United Methodist Church, in April 1996, adopted a resolution aimed at reducing the risk of child sexual abuse and other abuse in its churches. Jesus, said, “Whoever welcomes a child…welcomes me” (Matthew 18:5). Jesus also said, “If any of you put a stumbling block before one of these little ones…it would be better for you if a great millstone were fastened around your neck and you were drowned in the depth of the sea” (Matthew 18:6). God calls us to make our churches safe places, protecting children and other vulnerable persons from sexual and ritual abuse. God also calls us to create communities of faith where children and adults grow safe and strong. The Social Principles of The United Methodist Church state that “children must be protected from economic, physical, emotional and sexual exploitation and abuse” (para.162C). Thus, in covenant with all United Methodist congregations, Friendship United Methodist Church has adopted a comprehensive policy for the prevention of child abuse in our church. To see the full policy, please click below. To make Friendship a truly safe sanctuary for kids, we all must be involved. As brothers and sisters in Christ, we should always be looking out for one another, especially those least able to protect themselves. Anyone can and should talk to a Safe Sanctuary Team member (Pastor Tom Young, Pam Howe, Tiffany Miller, Mike Walls, or Eileen Klase) or one of the pastors immediately if he or she is uncomfortable with how a child is being supervised or treated. Together, we can keep Friendship a loving and safe community for all of God’s children. Every adult age 18 and older must be Safe Sanctuary compliant before working or volunteering with the children and youth of Friendship United Methodist Church. To learn about becoming compliant, please click here to visit our Safe Sanctuary Training & Compliance page.